China is located in the eastern part of Asia, which is a nation with a vast territory, suitable situation, quite complex topographies and climates, diverse natural environment as well as rich biodiversities. China is quite abundant in biological resources, and it is estimated that China ranks the third biodiversity richness in the world, excelling all of other countries in Asia and Temperate Zone. 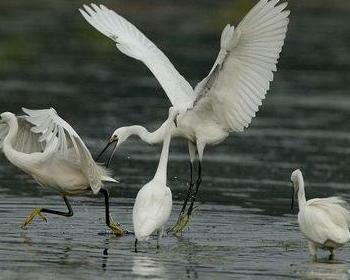 China stands a world-leading position in biodiversity of birds. Taking birds species number as an example, China ranks the fourth in the world only inferior to Brazil (2,000), Peru (1,678) and Columbia (1,567) in South America. Set on the coast some 280 km east of Beijing, the seaside holiday resort of Beidaihe is famous not only as a tourist center and as a good place to recuperate after illness, but also as one of the best places in the world to see migratory birds. Day 1: Beijing/ Beidaihe. Head for Beidaihe after breakfast by car/ van (3 hours). Lunch at local restaurant. Watch birds in the highland of Geziwo Park and Lianfeng Hill guided by professionals. Enjoy the beautiful sea view. Check in hotel after dinner. Includes: (L), (D). Day 2: Beidaihe/ Beijing. Have breakfast in hotel. Head for another good place of birdwatching-Jade Island. Lunch at local restaurant. Transferred back to Beijing. Includes: (B), (L).